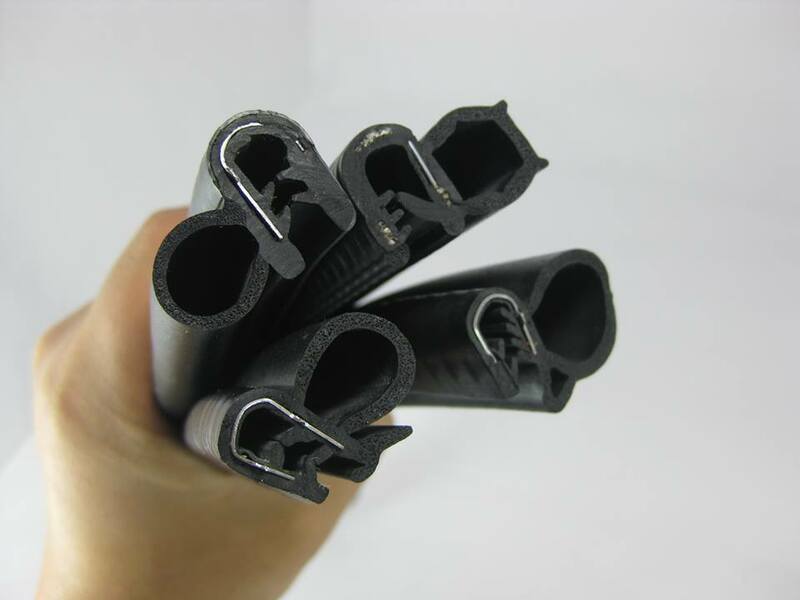 Rubber door seal also named as rubber seal, rubber sealing strip, rubber extrusion seals and rubber weatherstrips. Manufactured extruded rubber seals strip with steel inserted is made up of EPDM foam rubber, dense rubber and high quality steel strip. There are many kinds of size, mainly with side bubble seal and top bubble seal. It can be used for automobile door hatchback door seal, seal, seal, mechanical seal cabinet etc.. It plays the role of waterproof, dust proof, sound insulation, temperature insulation, shock absorption, decoration and so on. Material: EPDM foam and solid compound, with Steel or wire insert. Size: Available in Various Sizes, or make as your drawings and requirement. Shapes: EPDM bulb at one side or top side, the other part is EPDM or PVC edge trim With steel wire or steel inside. Customer's design and specification are accepted.